Published tuition costs and fees have risen at an average rate of 5.5% per year for private four-year colleges and universities. Rising tuition costs have, in recent years, become expected phenomena for students and parents nationwide. With no end to the price hikes in sight and with financial aid struggling to keep pace, many are left wondering whether higher education will soon become a privilege enjoyed by the few. 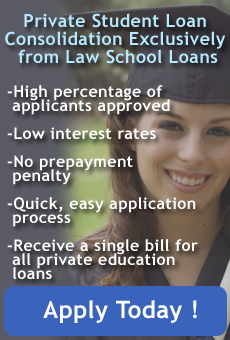 LawCrossing's sibling company, Law School Loans, recently looked into another rate hike affecting students: the rise in interest rates on student loans. As Law School Loans reported, Democrats responded to the interest rate hike by presenting a report on Capitol Hill. Attorney General Andrew M. Cuomo announced he has reached agreements with two more universities. Drexel University in Pennsylvania has consented to refund student borrowers about $250,000, which the university received in the form of revenue-sharing fees from lenders. Capella University in Minnesota has agreed to disclose information pertaining to the business relationship the university's director of financial aid had with student loan lenders. Office: 175 South Lake Ave., Suite 200, Pasadena, CA 91101.